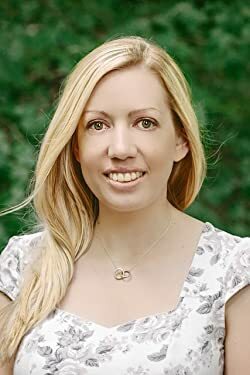 I’m very excited to welcome Rita Brassington to my blog, for my first ever author Q&A. Thanks for joining me Rita. For those who don’t know already, could you tell us a bit about yourself and your book please? The Good Kind Of Bad is quite a unique story. Where did you get the idea from? I was visiting friends in the Mid-West of America I’d met while studying at MCTS (Maastricht Centre for Transatlantic Studies). I remember sitting at the airport in St. Louis, looking up at the airport departures board, seeing a flight bound for Chicago and thought: ‘What would happen if you left your whole life behind and started again?’ It was only when I started piecing the main plot together I knew I had a great story – plot twists and all! I think every character is based on someone, or a part of them, whether someone the author knows or a character from a soap or a film. They are mishmashes of character traits and interesting quirks from real people. That’s the interesting thing. You could base it on someone and they might not recognise themselves. I guess that’s what The Good Kind of Bad is fundamentally about – how much you believe, or think you believe, you know someone – even yourself. I have been asked if the main character, Mrs Petrozzi is based on me. Definitely not! I’m not that impulsive. It’s quite random! It can be a name I hear on the television or inspired by something I’ve written or seen. I was watching an old Cary Grant film called The Grass is Greener. I already had a Victor in my book, (Cary Grant’s character’s name) so took surnames for some of my other characters too! I don’t think a nutshell will cover it, seeing as it took me ten years from start to finish to publish The Good Kind of Bad. I wrote it in nine months, hurrying to get the story down, then left the manuscript for a number of years. It was only recently I decided to finally get the book out there. For me, it’s all about getting the story down and editing it later. As for ideas, I think up great plot twists or scenes in the shower, then forget it all! I try to take a notepad and pen with me everywhere I go, just in case. Sarra Manning is a definite favourite. Her books are the polar opposite of mine! I love the completeness of her writing, where she really delves deep into the little details of her characters lives; the clothes they wear, their taste in music. It subconsciously builds up a character. I loved reading. I think if I hadn’t read so much when I was younger, I never would’ve begun writing. I don’t think one can come without the other. At the moment I’m spending far too much time reading than writing. As a child, our house was filled with books, mainly non-fiction. I remember collecting tokens from Weetabix boxes for Barbie clothes, but when they ran out, I was sent the Weetabix Book of Facts instead. I read it cover to cover. By the time the Barbie clothes came, I wasn’t that interested! The book helped my general knowledge at least. I’m really good at quizzes now. I can get at least five right on University Challenge on a good day. My mum had a typewriter, on which I used to type little stories or dreams I’d had. I also kept a diary from about the age of eight. I always thought it was important to record who you were at a certain point in your life. When you read back, it’s almost like you’re a character yourself. I’m sure I’ve cringed looking back! I know you now live in Manchester, but were born and raised in my home town, Stoke-on-Trent. Would you consider writing (or do you already have any plans to write) a book set in Stoke-on-Trent? I’d written a TV drama script for a series based in Stoke, about a family dealing with the patriarch’s recent terminal diagnosis and how that brings one estranged daughter home. There are so many police procedural/supernatural/historical dramas on the box at the moment, but not much about the family without a more ‘sensational’ overriding theme. Family is full of drama, but comedy too. If anyone’s ever been to Stoke, the people are some of the warmest (and funniest) I’ve met. They are definitely the stars. I’ve begun slow progress on my second book. The next is set closer to home in Manchester, about a girl desperate for her dream job and will do anything to get it. When she meets a guy who promises her the world, things begin to turn nasty. No timescales as of yet but am working on it! 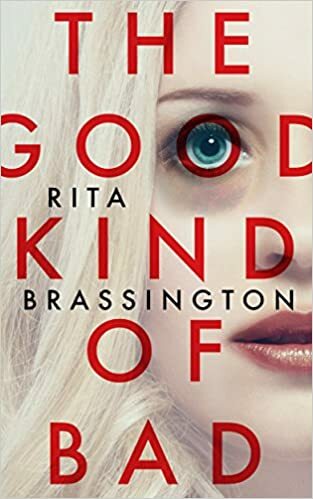 I’m on Twitter and Instagram @ritabrassington, on Facebook as Rita Brassington Author and on my website, www.ritabrassington.co.uk. It’s always lovely to hear what people think so get in touch! Great questions and great answers too,!